Few household products have made more significant career in the world of scale modelling than Future Floor Wax. 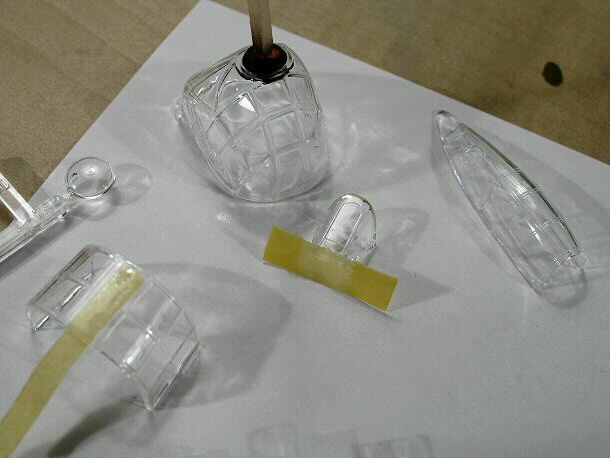 A clear acrylic high-gloss floor finish, it was discovered for our hobby through the improvement it could bring to clear plastic parts - aircraft canopies in particular. 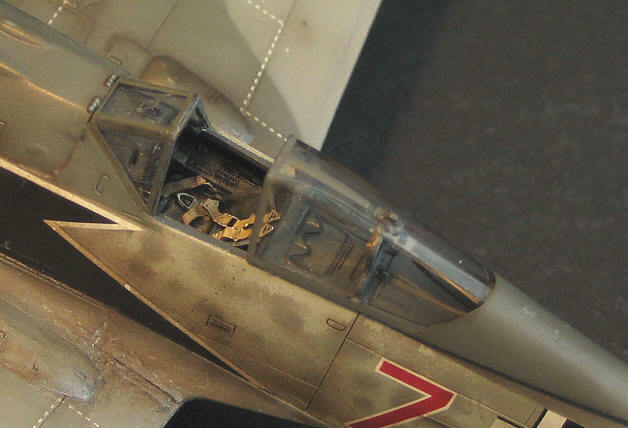 The canopy of this 1/72 Tamiya Focke-Wulf Fw 190 A-3 is but one example of what an application of Future Floor Wax can do - improved shine, better transparency and less distortion. Despite the original part being rather thick in this scale, a coat of Future renders a replacement vac-form canopy unnecessary. This short article describes details of floor wax application to canopies and other clear parts. Although the name Future has become universally recognized in modelling literature, a word or two on its origin may be in place for those outside United States. Future Floor Wax is a brand name of a a water-soluble high-gloss acrylic floor coating that was developed by SC Johnson in Racine, Wisconsin and is being distributed in the United States. Equivalent products are available in other countries but under different brand names. In many European countries, Future equivalent is known as Johnson's Klear, Klir or Klar. In other countries there may be similar products under entirely different names. Adding to the confusion is the fact that certain brand names (such as Klar) are used for entire series of various floor care products. Also, different products are more than likely to use different formulations, which may affect their properties from the modeller's point of view. So if you are a Future newbie living in a distant country, how do you know which product to try? Well, look for a durable high-gloss floor finish that comes in a bottle. 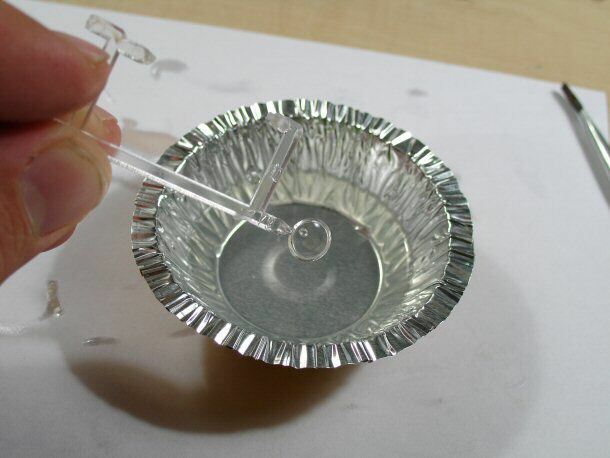 The liquid in a bottle should be as clear and transparent as water, with consistency of a thin oil. If you find such a product, try it, but on spare clear parts first! 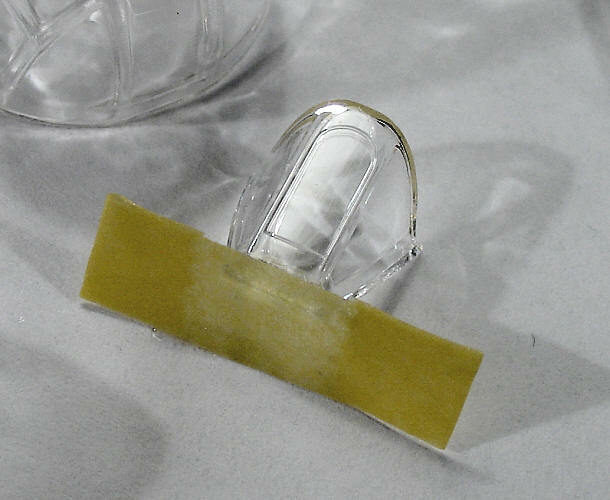 It is important that the clear parts are clean and free of any mould release agents or oils (such as your fingerprints) prior to application of Future. Most often wiping off with a soft rag or cotton swab soaked in isopropyl alcohol should be sufficient. Let the article dry thoroughly before proceeding. Now, pour the wax directly from the bottle into a small jar or similar container large enough for your clear part to fit comfortably into it. No thinning is necessary. With some exceptions, clear parts should be separated from the sprues, and any sanding and polishing done if necessary so that you don't have to sand the part after it is coated. 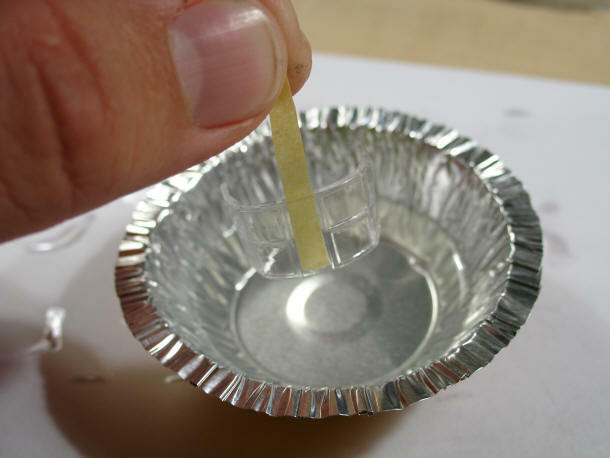 To dip the part in the liquid you will need to attach a handle to each part. A handle will need to stay on the part through drying time. For that reason, a handle should be attached to the part at the area which will subsequently be painted or hidden on the model, such as canopy frames or invisible edges. Also, the handle and the part should not form additional corners or crevices where excess liquid could collect, drying into nasty spots and runs. 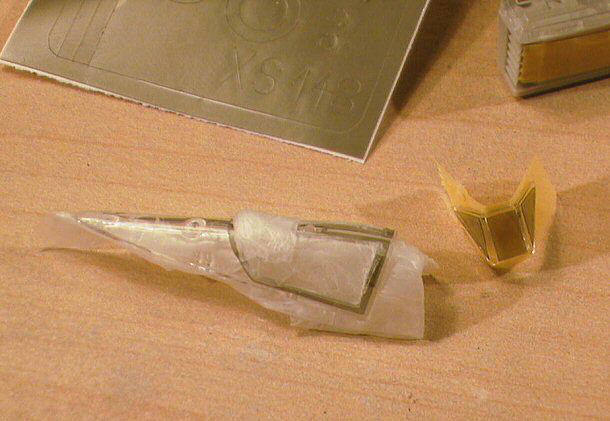 My way of doing handles is to attach a piece of high-adhesive tape to the part along one of the edges which will be hidden from view on the model. Thereby I han handle the part by grabbing the tape with a pair of tweezers. 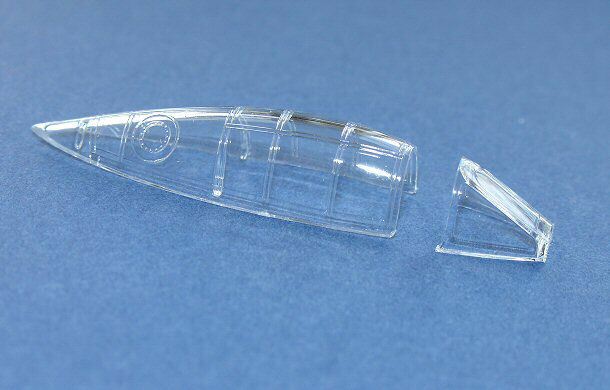 If you are lucky with placement of sprue attachment points, clear parts may be coated while still on the sprues. Unfortunately it is very seldom I find parts that do not require sanding and polishing of these points. Dipping the part in Future is really only what it sounds: just grab the part by its handle and then dip it into the jar, so that it is entirely immersed in the liquid. The point with dipping is that it is the best way to ensure an entirely spotless coat of paint - a principle also used for producing high-quality painted finishes in many industries. However, Future can also be brush-painted or airbrushed if required. 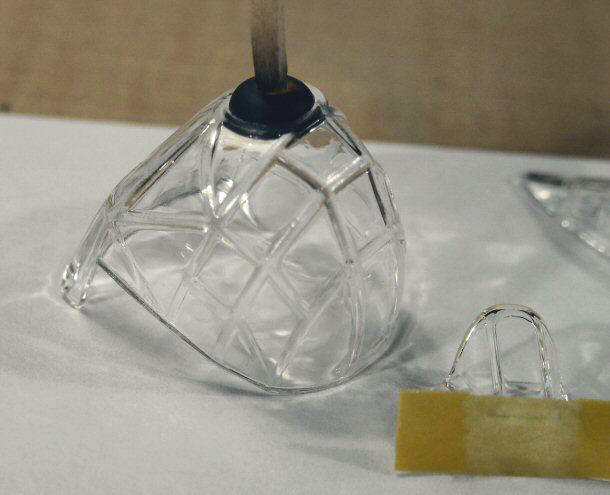 Lifting the part up from the jar, examine it for any air bubbles or dust particles present in the covering wax. If present, dip the part again, perhaps moving it gently to and fro to let the bubbles escape. Now an important moment - removing excess liquid. 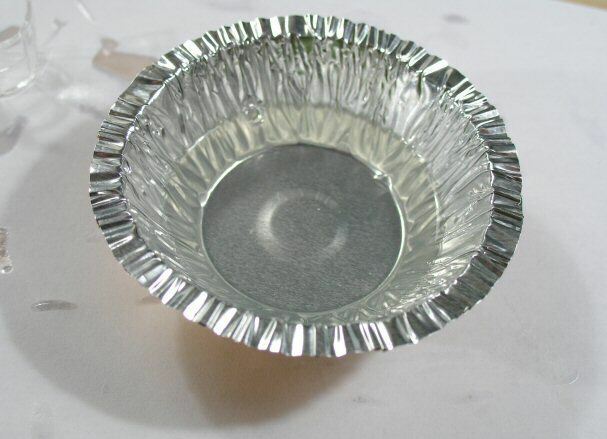 The part has likely pulled quite a lot of liquid, and after a few seconds the excess will start draining to the bottom points of the part and in the crevices, building up to visible drops. If you do nothing, these drops will dry where they are producing visible spots and distortions. To remove the excess wax I use a clean sheet of paper. Holding the part steady with tweezers, I touch the part to the surface of the paper, keeping in mind that only the edges which will not be seen on the model come in contact with it. Where the part and paper met, the excess Future will immediately run from the part onto the surface. 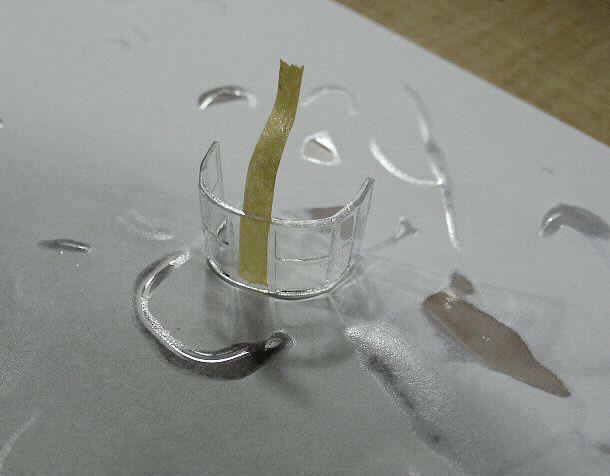 The photo shows how much liquid can be removed this way. What's left on the part at this stage should be a perfectly uniform, although still wet coat of Future. All that is left to do now is placing the part gently on a flat surface to dry. Although Future dries to the touch fairly quickly, I usually leave the parts for 4-6 hours before touching them just to avoid any surprises. To be able to mask and paint on top of the coat, you should preferably leave it to harden for a couple of days. The magic of Future is that all clear parts can be improved by this coating: thick, badly polished, even scratched... of course the quality of the result may be less than perfect in such cases, but it will always be better than the part itself. Mistakes can be remedied by washing off Future from the part and starting all over again. There is no special procedure for removing Future, it is just like washing off coat of acrylic paint. Rubbing the surface with a T-shirt cloth richly soaked in isopropyl alcohol should suffice. Another option for cleaning or thinning Future is to use ammonia-based window cleaner like Windex or Ajax (again, different brand names there). Future can be safely masked and painted over just like any other acrylic finish. Just let the coating harden thoroughly for a couple of days before masking.